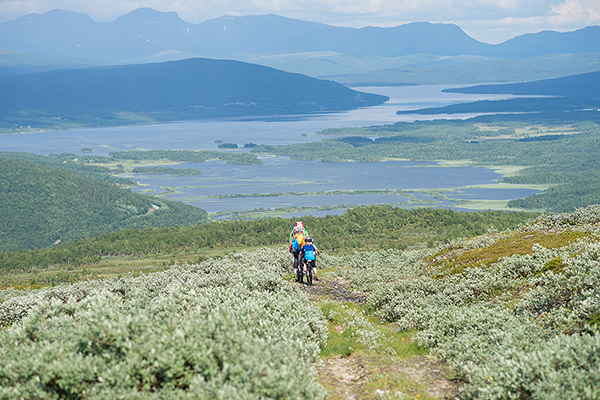 If you want to experience the mountains on two wheels, you’ll be happy to know that some of the country’s best mountain bike trails are located in the area of Stekenjokk 50 km northwest of Saxnäs. These trails are between 200-300 km in total. One of the better ones is the dirt road between Stekenjokk and Vielmesmakke, a trail that’s 18 km over bare mountain. You can go mountain biking or just chose to explore the roads near Saxnäs and go bathing, fishing or visiting waterfalls and other sites. Apart from mountain bikes, we also have regular bikes and children’s bikes.